James Hill lives in Detroit and uses the bus every day. And he says he’s learned to dedicate hours to getting from point A to point B. People who need to catch the bus to work or school in Detroit are in a jam. On any given day, about half the city’s buses are parked, waiting for repairs. That, in turn, means hours-long waits at bus stops. It’s an especially serious problem in the Motor City, where about one in four people doesn’t have a car. Bus riders say they’ve lost jobs, missed important doctor’s appointments, and had to drop classes after getting stranded. “I have been written up several times, on the verge of being fired," said LaTonya Peterson, who relies on the bus to get her to job as an office assistant. She said even when she gets to the bus stop an hour or two early, she’s still late for work. Some riders said the most frustrating thing is when you’ve been waiting for an hour or two – there it is, the bus is coming - but it doesn’t stop. “They be so crowded they pass you up," said Curtis Jackson. "And then it can be raining outside, it’s ridiculous." So many of the city’s buses are waiting on repairs, in part because retirements have thinned the ranks of mechanics who service them. But officials with the mayor’s office are also accusing the union that represents the 152 mechanics of a deliberate work slowdown to protest cuts to the department’s overtime budget. The president of the mechanics’ union did not respond to requests for an interview, although he has denied there’s any intentional work slowdown. But City Council President Charles Pugh thinks that’s exactly what’s going on. Pugh – who has his sights on the mayor’s office – is also critical of how Mayor Dave Bing has handled the situation. Pugh said complaints have flooded city council members’ phone lines since late August. “It’s almost November and there’s still no action," he said. But Mayor Bing said he is taking action - initiating a series of meetings with the bus system’s management and union leaders to get buses back on the road. “I don’t want to point fingers and lay blame, it’s about taking care of our citizens. People are losing their jobs, the businesses are – they don’t have the employees they need right now to get jobs done," Bing said. The mayor and city council appear to be giving mechanics something of an ultimatum: Get the buses repaired and back on the road by mid-November, or they’ll bring in private contractors to do the work. Meanwhile, the tens of thousands of Detroiters who rely on the bus have little choice but to keep waiting. Contribute to our coverage: Do you depend on DDOT? Tell us about the service. 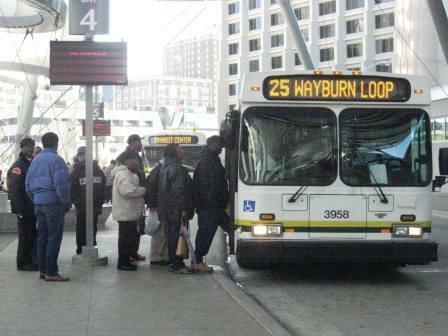 There appears to be no end in sight for frustrated bus riders in Detroit. Budget cuts have forced Detroit to eliminate more than one-third of its citywide bus service over the past six years. But the city’s bus service has gotten dramatically worse in just the last few weeks. Many riders recount waiting up to three hours for buses to arrive--and finding severe overcrowding once they do. 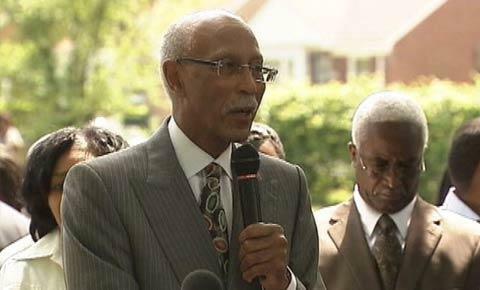 Detroit Mayor Dave Bing says he’ll do “whatever it takes” to get the city out of its current bus crisis.